Enjoy a welcome approach at Dainton Park Golf Club & Restaurant. Intended to challenge the status quo of traditional golf clubs, Dainton Park opened its doors in the early 90’s to anyone wishing to enjoy a social, healthy lifestyle. 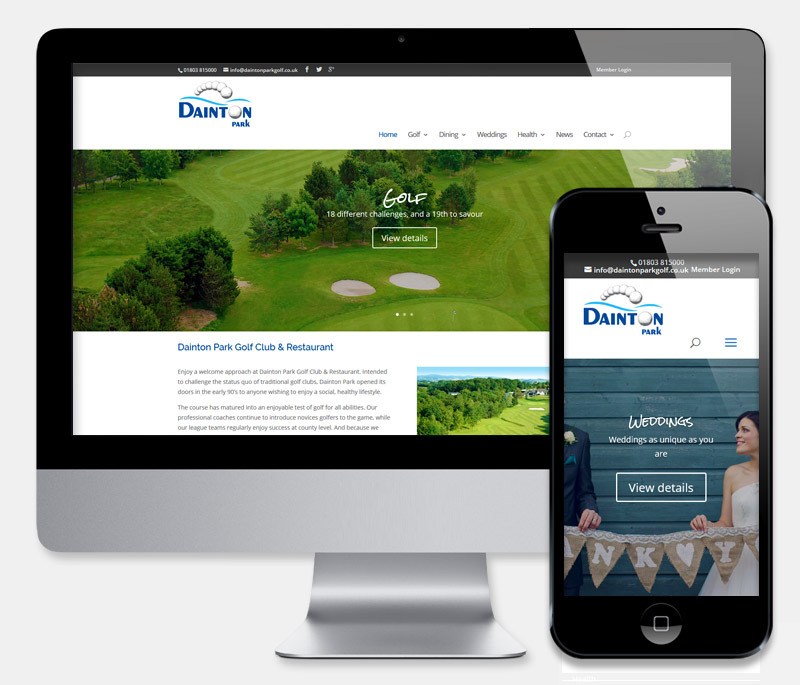 Their new Wordpress based CMS site contains a wealth of club details, including the course, dining and wedding and social events hire. Custom enquiry forms and news blog aids the club in promoting a range of activities and events direct to clients, while the included training and support allows them to keep their new site fresh and up to date. Thanks to all the Website Development team, we have ended up with a great website and they are always there for us on the end of a phone. Can't fault it!